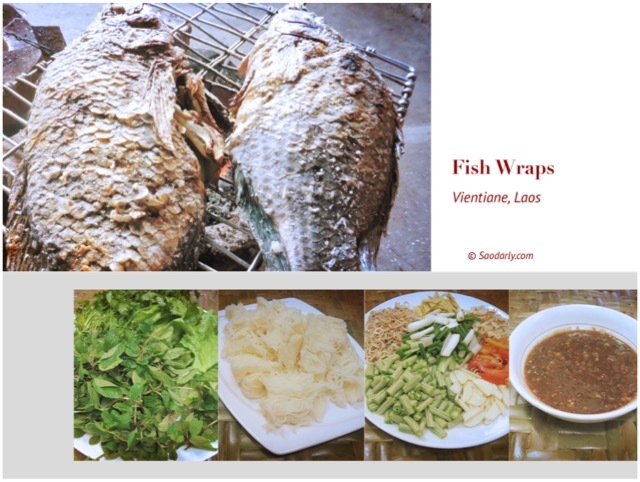 Grilled Fish Wraps (Phan Pa ພັນປາ; ໝ້ຽງປາ) for dinner in Vientiane, Laos. 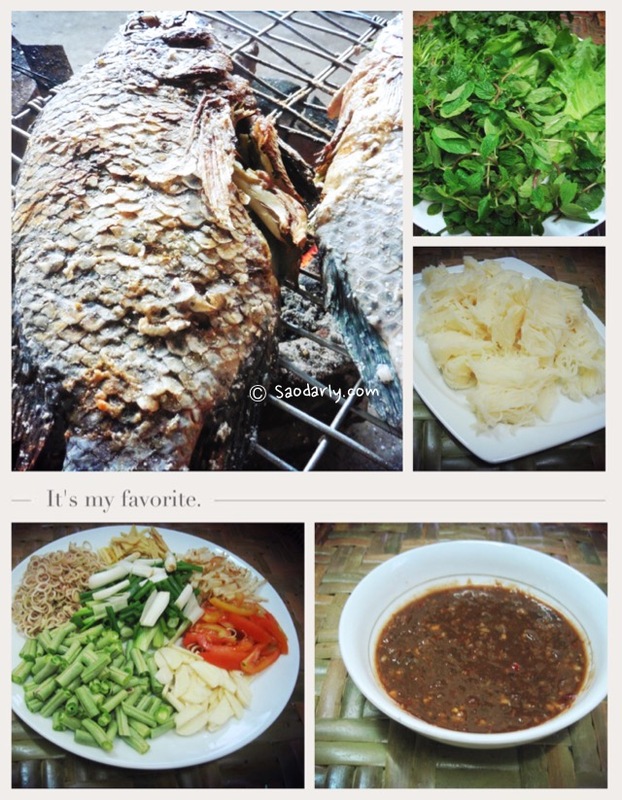 The fishes were stuffed with lemongrass and seasoned with salt before grilling. The fresh herbs, vegetables, and vermicelli rice noodles were bought from the local market along with the spicy dipping sauce for the wraps. It was a delicious and healthy dinner for everyone to enjoy on a warm weather night. You can take your time wrapping individual piece of lettuce with the fish and the ingredients and enjoy the fresh flavors in your mouth.